According to the paper, the simulator replaced an "older, less sophisticated golf simulator" that existed in the White House during former President Barack Obama's tenure. Oh, and he hasn't even used it since it was installed. He tweeted about Obama's golf hobby 27 times from 2012 to 2016, according to SB Nation. Nevertheless, the Post spent the rest of the article talking about Trump playing golf. 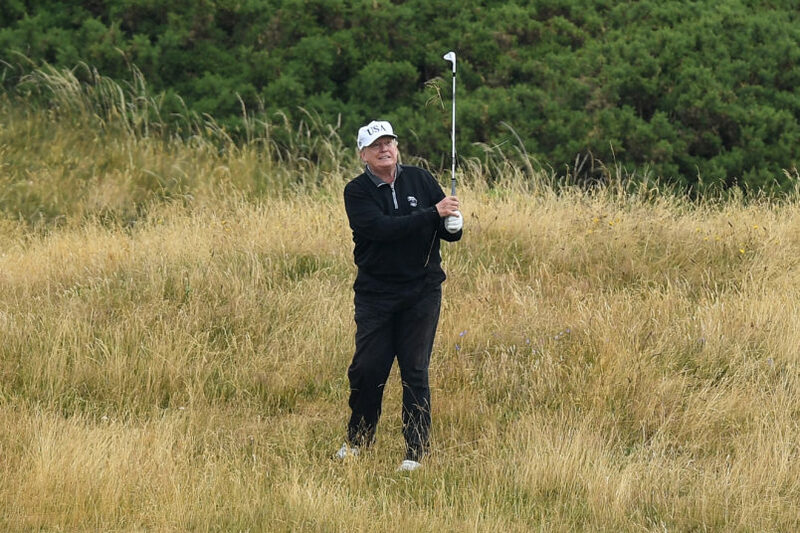 Mr Obama played about 38 rounds a year to Mr Trump's estimated 70. President Dwight Eisenhower had the first White House putting green installed in 1954 with financial help from the USGA and private donors. President Franklin Delano Roosevelt had an indoor swimming pool installed. Obama modified the tennis court to also allow for basketball. Bill Clinton moved putting green to its current location and had it designed by golf course architect Robert Trent Jones Jr, according to the White House Museum.